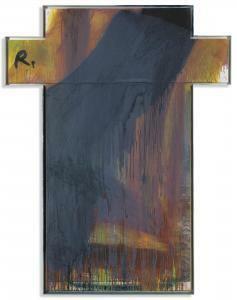 Find artworks, auction results, sale prices and pictures of Arnulf Rainer at auctions worldwide. 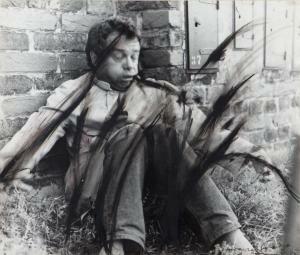 Arnulf Rainer (b. 1929) Kreuzbild (Cross) signed with the artist's initials 'R.' (upper left) oil and screenprint on paper laid on board, in artist's frame 62 3/8 x 48 7/8in. (158.5 x 124.2cm.) 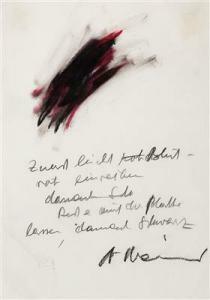 Executed in 1992-1993 Provenance Galleria Arte92, Milan. Acquired from the above by the present owner in 2007. 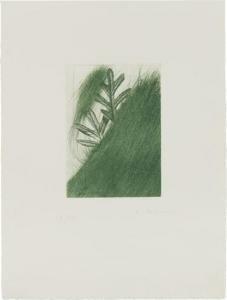 Arnulf Rainer signed and numbered "58/90 A Rainer" lower edgephotogravure and etching on paperimage 14 x 10 in. (35.6 x 25.4 cm.) sheet 31 1/2 x 23 5/8 in. (80 x 60 cm. 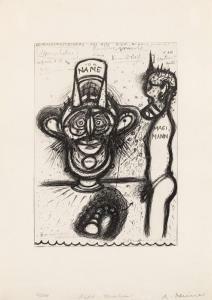 )Executed in 1986-1987, this work is number 58 from an edition of 90 plus 12 artist's proofs, co-published by Galerie Bernd Klüser and Edition Schellmann, Munich and New York.